Are you already behind on your reading list for 2018? Summer is a great time to catch up! With Memorial Day kicking off summer in Philadelphia, here are five Podcast-Book combos CEO Think Tank® recommends to our members. As Q2 winds to a close, some CEOs might come to the realization that while their business is entering the second half of the year their personal reading list is still in Q1. That’s ok! Summer can be a great time to make some serious headway on that list. Vacations and long weekends pepper our lives during these hotter months. These trips can provide some much needed free time to expand your mind with new business tactics. Using this time to both relax from your hard work and learn about new strategies for work and life can be the one-two punch you need to truly re-energize your battery. Now, I’m not recommending you highjack the upcoming family vacation with a waist-high stack of books. But, doing your own reading can set a great example for kids that might have summer reading of their own. If you already have a list ready to tackle, that’s great! (I’d love to hear what’s on it.) 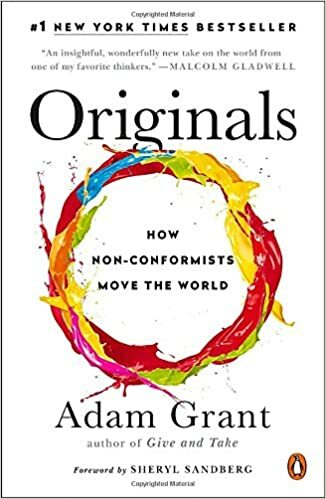 However, if you’re in need of some inspiration, I’ve assembled five Book/Podcast combinations for CEOs looking to expand on a specific concept. Podcasts are great for maximizing your productivity during long road trips, on the treadmill, or during your morning commute. Pick a combo from the list below. If some peer accountability might help you accomplish your goal, see if any colleagues or employees would be interested in creating a club to discuss the what you’re learning. I highly encourage you to try and read or listen along with a few employees. As we’ve said before, repetition helps us internalize and better understand new concepts. The group discussion is another way to internalize the book’s insights. An added bonus of reading with employees is that their knowledge of the company could spark ideas you didn’t consider. It may also improve employee happiness by encouraging social connections and fostering a culture of personal growth. Use this next quarter to up your business acumen with these five combinations! A nine-part series on parenting and teaching introverted children. 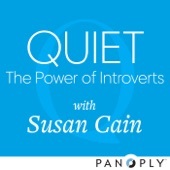 Hosted by bestselling author Susan Cain, she dives into why quiet kids are unique and require different parenting and teaching methods from their extroverted peers. 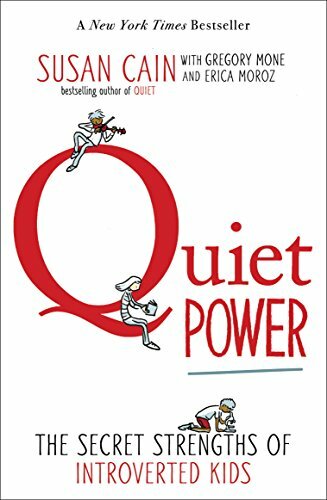 She and her expert guests discuss how parents and schools can help introverts thrive, how social media allows quiet children to express themselves in ways that were never possible before, the neuroscience of introversion, and much more. 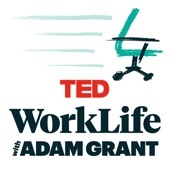 Adam Grant, an organizational psychologist, Wharton professor, and best-selling author hosts WorkLife, a new podcast about how to make work better. Check out his the episode with Arianna Huffington. Titled “When Work Takes Over Your Life, ” it’s a thought-provoking piece on the importance of making self-care a priority, setting boundaries, and disconnecting on a regular basis to re-charge. Using surprising studies and stories spanning business, politics, sports, and entertainment, Grant explores how to recognize a good idea, speak up without getting silenced, build a coalition of allies, choose the right time to act, and manage fear and doubt; how parents and teachers can nurture originality in children; and how leaders can build cultures that welcome dissent. 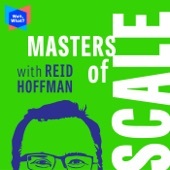 Reid Hoffman, co-founder of LinkedIn and investor at Greylock, hosts this original podcast showing how companies grow from zero to a gazillion, testing his theories with legendary leaders. The first American media program to commit to a 50/50 gender balance for guests. It won the People’s Voice Webby for Best Business Podcast. Listen to his interview with Sheryl Sandberg, on leading a fast-changing organization and knowing when to pivot. Named a best book of 2017 by Barnes and Noble and Amazon. 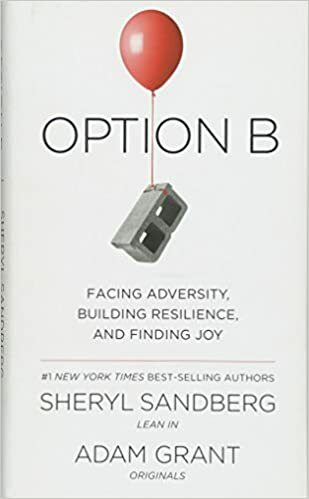 A powerful, inspiring and practical book about building resilience and moving forward after life’s inevitable setbacks. 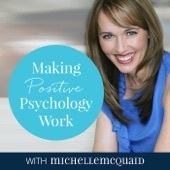 Michelle McQuaid is a best-selling author, workplace well-being teacher and playful change activator. Check out her interview with Angela Duckworth, author of “Grit” and professor at the University of Pennsylvania, and founder and scientific director of the Character Lab. An evidence-based, step by step blueprint for measuring your wellbeing using Martin Seligman’s PERMA framework, setting realistic wellbeing goals and creating a personal wellbeing plan with busy-proof practices that you actually will enjoy doing, will help you perform better at work – and you will stick with! Voted the #2 Podcast for Entrepreneurs by Forbes, these great entrepreneurial stories are from a firm on a mission to shift the balance of power in favor of small business owners as they approach their exit. John Warrillow reveals the enormous size of the small business marketing opportunity and shows readers various ways to reach this vast, yet seemingly hidden sector. 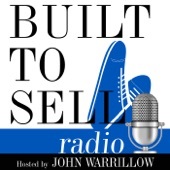 He covers how to address the small business market, managing cost control, and segmenting the customer base, along with numerous case studies. You have a Vision for your Company but you’re not sure how to get there? Can you say what your Strategy for growth is in a single sentence – clearly and simply? Does your vision get lost in translation when you try to communicate it to the team? Take advantage of our Early Bird special! Join us on November 8th to hear serial entrepreneur, best-selling author and Scaling Up Coach Shannon Susko. She’s coming to Philly and leading our 3HAG Way Strategy Workshop. You’ll develop your 3 Year Highly Achievable Goal, create a Roadmap to get you there AND get your team on board and in the game!